And so is ‘his’ King. But never mind that little coincidence. Do you remember Sven Nordqvist? 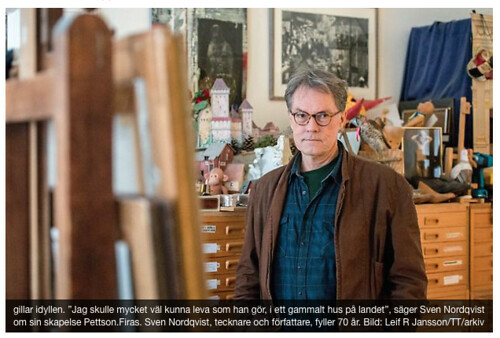 Creator of Pettson and Findus, the cranky old man with the cunning – but kind – cat. I’m a bit surprised he is that old, to be honest, but like many Swedes he has aged well. I like Pettson. And, all right, I like Findus, too. And Sven has a past in my old home town, so I feel sort of at home with him as well, and that crankiness is something I can sympathise with. Somewhat surprisingly he lives in a flat in the middle of Stockholm. You’d think he’d be hiding out in the wilderness, behind those clucking hens and other creatures. And it seems that while Sven likes praise as much as the next illustrator of opinionated cats, he gets so much of it from people like me (that’s old and keen bookish females), that it no longer registers. He prefers to hear it from young readers. According to an article in Hallandsposten the other day, these days Sven mainly works on what pleases him; drawing for himself. I suppose today he could always pop over to the Palace with some freshly made pancakes. 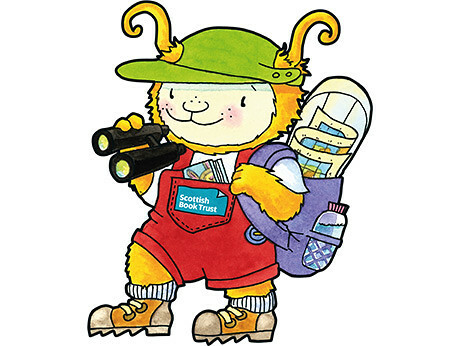 The Bookbug Week‘s flagship event will this year take place only a mile or so away from Bookwitch Towers. Scottish Book Trust’s annual book week for young readers runs from May 16th for a week, kicking off at Bannockburn with a day of, I think, poetry and stuff. The rest of the programme happens all over Scotland, and the theme this year is international. Songs and rhymes from around the world. This tallies with what you find in the programme for Stirling’s own Off the Page where, surprisingly, they offer both a German Bookbug session, as well as a bilingual event or two. You can also do colouring in and design your own coat of arms, along with attending a teddy bear’s picnic. At the other end of the age scale (or so I imagine) is a vintage reminiscence tea party, which sounds really very nice. Except I hope I am not old enough for that sort of thing yet. In schools (they have all the luck!) you might find Chae Strathie, Janis Mackay, Kirkland Ciccone, Alex Nye, Ross MacKenzie and Mairi Hedderwick. But despair not, Mairi Hedderwick is also doing a public event. Maybe even two. This ten-day long festival starts on May 6th, and other public children’s events offer Lari Don and Nick Sharratt. Helen MacKinven, whom I met at Yay!YA+ last week is also doing an event. As are several of the big names in Scottish crime, such as Lin Anderson, Helen Fitzgerald, Denise Mina and Caro Ramsay. There are many more events and many more authors. And much upset on my part because I will not be going to any of these… The more attractive the event, the less convenient the date (for me). Toby in Tony Bradman’s The Boy and the Globe was able to read. He was young, and an orphan, and so desperate he took up a [short] life of crime in order to eat. But he could read. He got enjoyment from a book one of the other thieves accidentally stole, and Toby helped this boy, purely by being able to read. And when they ended up thieving at the Globe, it was the reading that eventually got him his better job, as an actor, as a friend of Shakespeare’s, and more. 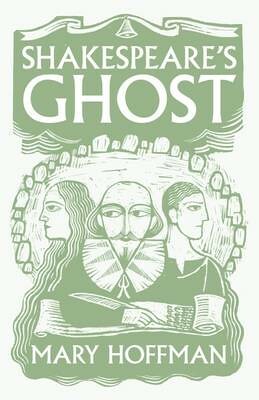 Ned in Mary Hoffman’s Shakespeare’s Ghost could also read, as could the young girl who wanted to marry him. Both were poor, and Ned was an orphan like Toby. He couldn’t have done his acting without being literate. Or maybe he could, but it would have been much harder. Set in a period when I suspect most normal children, by which I mean not terribly well off, would never learn how to read, this is remarkable. But had they not been able to, the plots for the books they feature in wouldn’t have worked. It’s probably not just a plot device though. I’d like to think of it as being there to demonstrate to children how well someone can do just because they have this basic skill. A skill that many still don’t have, or not to the degree we’d like them to. And for all the Government’s harping on about ‘Literacy,’ they are not necessarily helping. Especially not when they remove the places where the children could go to practice and enjoy their reading skills. You know, like libraries. Toby and Ned got to where they wanted through reading. I assume that’s what the people in power are afraid of. ‘Swedes have long admired the British for their wit. The English department at Gothenburg employed several such witty Englishmen to dazzle the Swedish students with their Englishness. They were usually called David something-or-other. I read through it again, and maybe it’s not the work of a genius. With added maturity I can see it’s more schoolboy wit, but still. It’s English schoolboy wit rather than Swedish. Not saying they are better. Just different. The grown David Wright was amusing and entertaining too. I’d happily have gone to his lessons just for the fun of it. 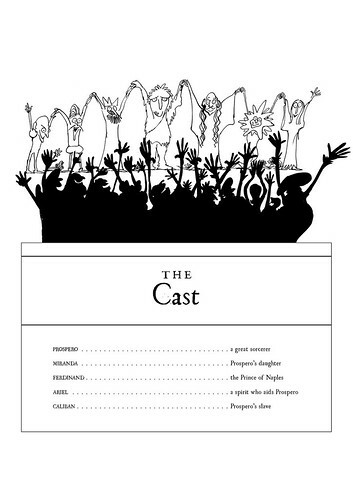 At that time one of our set books was Tom Stoppard’s Rosencrantz and Guildenstern are Dead. For someone as witty as Tom Stoppard (I must have been collecting them at the time! ), I seem to recall that Rosencrantz and Guildenstern struck me as more boring than expected. Perhaps it’s just me. I might have a Hamlet block somewhere. ‘Oh, a Mary Hoffman,’ said Daughter as she passed my stack of new books. ‘I might read that Mary Hoffman, if I may,’ said the Resident IT Consultant, and carried off Shakespeare’s Ghost. So I had to wait. It’s not terribly strange that many authors have written something about Shakespeare right now, but I find it amusing how both Mary and Tony Bradman chose The Tempest, as it was being written, to feature in their respective books, down to having Will give their orphan boys the part of Ariel. So, two orphans, two theatre companies (well, the same, really) and two Ariels. And still, so very different from each other. It just goes to prove what a good author can do; one idea, but more than one story. I liked getting to know Shakespeare a bit better, and finding out what his experiences regarding faeries might have been. Mary’s orphan, Ned, meets and falls in love with a girl from that other world, and it seems that Will had come across her and her family too, when he was younger. The trouble with Ned falling in love with someone not entirely human, apart from the obvious things, was that he also had a girl in real London that he was interested in and who was hurt as his attention wandered. At first I wanted Ned to have nothing to do with Faelinn, but after a while I felt that maybe he should, and that Charity would be all right, and after that I didn’t really know what I thought. Just as well the story looked after those things without me. Or it might have been Mary. There is the plague to deal with as well, and the royal family. In fact, the royals on both sides of The Boundary have trouble getting on. As does Ned and some of his rival actors who are all after the same big parts. And they depend on Shakespeare to write a new hit or two, while he finds it hard to come up with inspiring ideas. I know this is all made up. Probably. But it is nice to get closer to historical figures like this, and getting to know them a bit. More personal. At least I have heard of William Shakespeare. I’ve read [some of] his dramas and I have seen [a few more of] them in the theatre. But I am woefully un-educated when it comes to the bard. Say Othello and I can’t necessarily name who else is in there with him. Although I am currently reading Malorie Blackman’s new novel, Chasing the Stars, which is set in space and based on Othello. And I read and loved Exposure by Mal Peet, which was about a footballer and also based on Othello. It seems he has been a favourite with quite a few. I know Dessi, of course. Short for Desdemona. I had only just learned to read when I had to ask Mother-of-witch who this Sharkers-peh-a-reh might be. 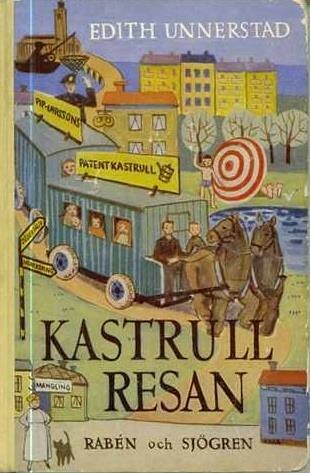 He turns up on page one of Kastrullresan by Edith Unnerstad, if memory serves me right. It’s about the Larsson family and their seven children. The mother is a former Shakespeare actress, who wanted to name all her children after his characters. The kind and sensible father manages to negotiate the right to name the boys, of which they have three; Lasse, Knutte and Pysen [Patrik, really]. Lasse is the book’s narrator and is most relieved not to be called Hamlet or Othello. You can see how that would have cramped your style back in the 1950s, in Sweden. Ophelia is the mother’s favoured name, but her husband manages to negotiate away from that for a good many years, until the fourth girl and seventh child arrives and his defenses are low. So Ofelia she is, but always known as Little O. The eldest is a girl called Desdemona, but is Dessi for short. I always used to think that was so cool, and I’d have a child and call her that. (I didn’t. Call her Desdemona, I mean.) Girl and child no. two is Miranda, called Mirre. I liked that too. The third is Rosalinda, and for some reason that’s also what people call her. Then came the boringly named boys, and finally little Ofelia. The thing is, I was so young, and knew nothing about Shakespeare, so I thought all the names were perfectly acceptable and normal, albeit previously unheard of by me. It was a lovely book, and the plot is all about the father’s invention of a triple saucepan that whistles loudly when dinner is ready, and the sad fact that with seven children their tiny (two-bed?) flat is too small for them. So the father builds a couple of caravans on top of two horse-drawn carts, hitches up the two sturdy horses from the local brewery (can’t remember how they got the horses, except Rosalinda loves them…), and the family set off to visit the children’s aunt in another town, where they eventually settle down and live happily ever after. And that was my introduction to dear old Will and his characters. Sort of. Did anyone notice that it’s just been the 400th anniversary of the death of William Shakespeare? Not that I feel it’s quite proper to celebrate anniversaries of deaths, but still. There are a lot of books out with some kind of Shakespeare connection. Tony Bradman’s The Boy and the Globe is one of them, and it’s a Barrington Stoke Conkers book. It’s the one I mentioned a few days ago as having given me so much more pleasure than the book I abandoned immediately before it. What’s so fun is seeing what different authors can do with the same theme. The Boy and the Globe is just one story set in 1611, featuring a young orphan. Toby is forced to take up a life of crime in order to eat, but it’s not something he wants to do. By chance he ends up thieving at the Globe one day, and is discovered, in more ways than one. The boy is befriended by Shakespeare, who is struggling to write a new play, and inspired by a book Toby has just read, he suggests the plot for Will’s next masterpiece, The Tempest. He gets to do a bit of acting, too, as Shakespeare writes a part for him, and from then on it’s less crime and more theatre for Toby.